I swear Josh Clark is worse than a crack dealer. It seems I can't help buying tools from him at hyperkitten.com. The latest tool I got in the mail from him is this beautiful 12" engineer's square by Lufkin. Nice Lufkin 12" square with center finder. I didn't really notice in the photo, so when it arrived I was surprised it wasn't black, but O.D. green. I have no idea if this was common for Lufkin squares or not. Perhaps it was made for the military, but I found no markings on it that would suggest it. Besides, is O.D. green really going to blend in better than flat black when you need to measure something in the jungle? Side by side with my 6" Starrett. The 12" rule is marked exactly like my Starrett 6" rule, with gradiations of 1/8", 1/16", 1/32", and 1/64". The markings on both rulers are engraved, dark, and easy to read. I have to say that the 6" Starrett I bought a couple of years ago has become a tool that I use often. I like to make wooden squares, but for some reason I always have this one around when I am squaring up stock. My only beef with it is the price. Brand new they come at a price equivalent to the price of a new kidney. I was eager to see how the old tool stood up. I checked and it is square as I can measure in my shop. Should be plenty good for woodworking. Just for fun, I tried the center finder on my smaller Starrett, and it fit perfectly. That might come in handy one day. The fit and finish is just as good as the Starrett with only a couple of exceptions. First, I really like the engraving on the rule. The font of the numbers is really cool. Second, and most importantly, is the Lufkin feels so much nicer to hold in my hand. The newer Starrett has a lot sharper of edges everywhere. Somehow, those edges have all been softened on the old tool. I suppose it is just a little extra attention to detail on the old stuff. Over all, I have to say that the Starrett is an excellent tool. It is always reliable. I do not have to think about adjusting it or wondering if it is still accurate. If you are in the market for one and have the money, don't hesitate. However, if you are a little short on funds, keep an eye out for a vintage model. This Lufkin is just as accurate and stable, as far as I can tell. I would say if you can look at it first, that is best. Otherwise, use a reputable old tool pusher like Josh. I look forward to seeing how this tool makes itself used in my shop. I got a package in the mail recently from my dad. 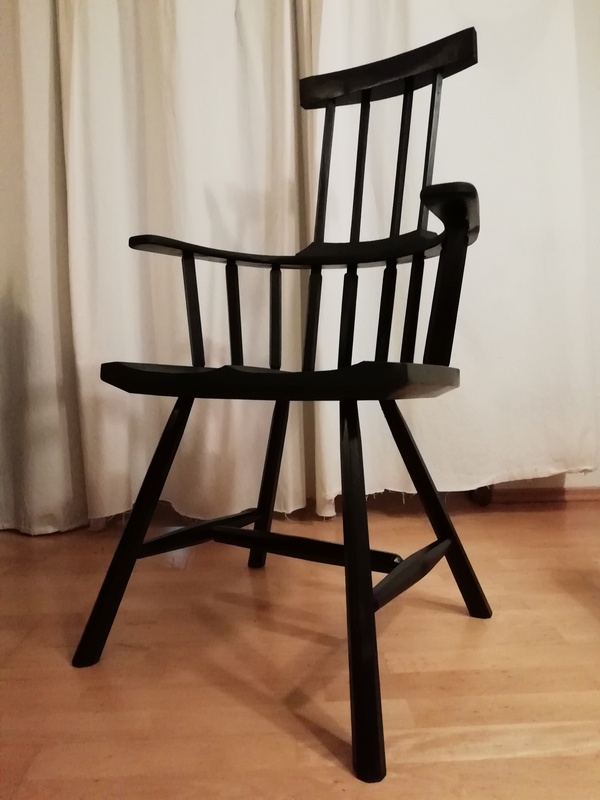 In it was some diamond willow (likely Salix bebbiana) for another Roorkee chair. This could likely be some of the only diamond willow in Europe! Wait until you see what I do with it. Of course, after I get a couple planned projects done. A lame project, but nonetheless, I felt morally obligated to put my own stamp on it. We got a new flat screen TV a while back, a small one. It replaced an old CRT that we were using in our living room to watch over breakfast. The idea was that it would be really cool if we could put it on a fully articulated arm, in order that in can be pushed back in it's cubby under the stairs easily when not in use. When the mount arrived in the mail it was obvious that it wouldn't fit our little Sony. For some reason TV mounts are made standard for nearly all TVs except Sony. I don't know why, but Sony doesn't participate in VESA, which is a standard for mounting TVs. The guy at the TV store said I had to get an adapter. 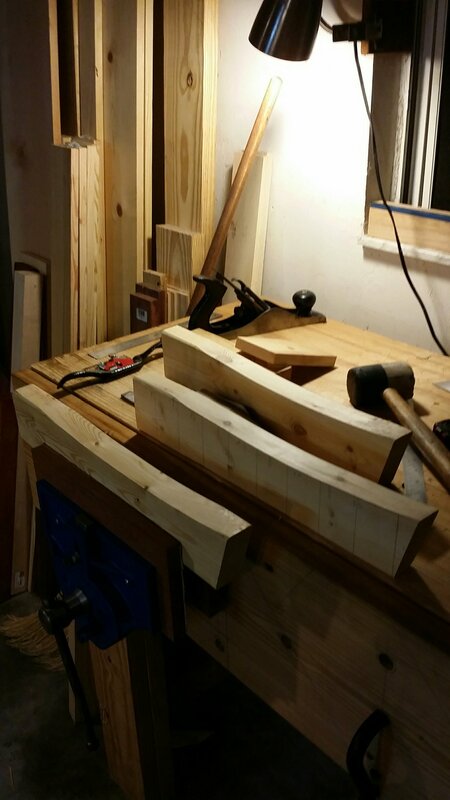 Why spend any more money, when I am a woodworker? Here's what I came up with . I just used regular old locally available pine, Pinus sylvestris, and painted it white. My creation attached to the mount waiting for the TV. TV in place, view from the back. Put away under the stairs. Now all I need to do is build a nice looking something or another to hide the cables! Lignum quod sit eadem numero scientia. The title makes me sound smart, doesn't it? It is how Google translates the phrase, "Wood should be scientifically identified" into Latin. Google translate can be a tricky thing, so I actually have no idea if the translation is in any way accurate. I have been doing a lot of thinking lately (often a quite dangerous thing! ), and it dawned on me that I read blog posts by woodworking authors all over the world. Also, according to my Blogger stats, this blog is read by people in many different countries and regions. While we all may be able to follow different tools and techniques based on the photos and descriptions posted, sometimes really knowing what a woodworker is going through is difficult for the simple reason that the wood that is being used may only be identified by the author as "oak," or "maple." Sometimes this is not so important to the story, but it can be. Take, for instance, a friend who recently told me that birch is the perfect wood to learn spooncarving, because it is so soft. Naturally I was surprised, because my only experience with birch was a board that was so heavy and hard, that I couldn't imagine it being great for beginning anything! It turns out that my birch board was a hunk of flame, yellow birch, Betula alleghaniensis, from the US, and the birch my friend was thinking of was likely downy birch, Betula pubescens, common here in Europe. Just looking at the Latin, it doesn't mean much. However, it turns out that yellow birch, B. alleghaneinsis, is about 35% harder than downy birch, B. pubescens. We woodworkers refer to a whole lot of different trees by only the common name of the genus. 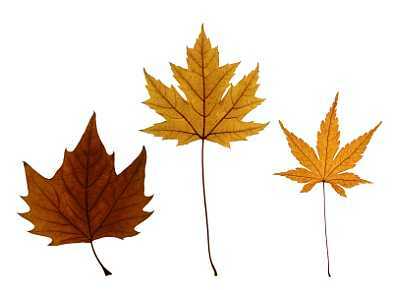 For example, there are some 125 species of maple worldwide, and some 600 species of oak. Lots of different maples. Photo courtesy LoveToKnow Garden. The only way for someone living in Ohio to really know what wood I am talking about (assuming he or she cares) is to use the scientific name. A brilliant resource for woodworkers is the website The Wood Database. This website lists photos of lots of different woods we as woodworkers are likely to come across. There are technical specifications for each kind of wood, and photos of these woods both finished and unfinished. Plus, there are some fantastic articles about identifying wood. From now on, I will try to remember to include the genus and species of the woods I discuss here on my blog. If you want to do the same, those of us who are interested in the different species of wood will thank you. Guidelines on proper usage of the genus and species are spelled out on National Geographic's website. Essentially, genus and species are in italics, with the genus term capitalized and the species beginning with lowercase. If you know the genus but not the species, you can substitute "spp." or "sp." to indicate it. For example, if you know a sample of wood is oak, but knot which kind, you would list it as Quercus spp. A final word is to echo Eric Meier of the wood database, and state that it may not be possible to always be correct in identifying wood to the species, but knowing a little about where it came from may help narrow the list of possibilities down. I'll get myself a jeweler's loupe to make identifying the wood on my rack a bit more accurate. One of the neatest things about living in Europe is meeting woodworkers and friends from many different places. Take, for example, Jonas from Denmark, who recently sent me a box full of his dad's slöjd knives. I tried to add a comment to your blog today, but I'm not sure where it ended up. #1 Erik Frost Mora Sweden. This stamp is used in the nineteen-thirties. Frost is one of the major makers; the company was started by Erik Frost in 1891. The word “Sweden” was added to knives from Mora in the thirties when the export was picking up. #2 Bröderna Jönsson Mora Sweden. The brothers Jönsson started their knife making business in 1936, using this logo. KJ Eriksson (Krång-Johan Eriksson), started knife making in 1912. This logo was used from probably 1940-1950 The sheath is maybe little older and not original. #4 Frost probably from the sixties or seventies. Thanks for the info, Bengt! I really like learning the history and ages of old tools. These knives I knew nothing about until recently, and really am beginning to enjoy them.